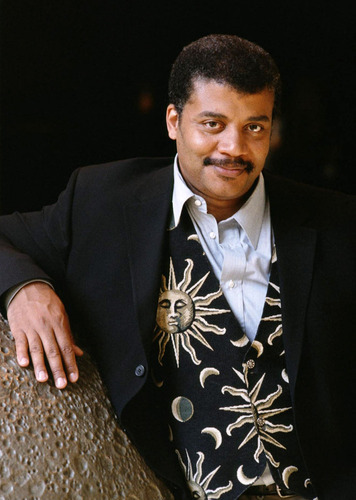 Astrophysicist Neil deGrasse Tyson  is America’s nattiest nerd, its chicest geek! He’s a sharp-looking scientist. A trendy twerp. He looks great. He is handsome and well-spoken, funny, witty and charming. And he’s smart. Sweet Lord in heaven, is he ever smart! He’s the kind of smart that takes very complicated super-brainy stuff and breaks it down into simple bite-sized easy-to-digest pieces that the rest of us plebes can handle. And he make it fun in the process. And because of that, you remember what he says just as much as how he says it. He can talk to us in our language without making it sound like he is talking down to us. He makes science fashionable and fun. His enthusiasm is infectious. You get interested in astrophysics because he is just so darned excited about the whole subject. Tyson doesn’t intimidate you with his intellect. He beguiles you with his boyish charm. And that is why we so desperately need him. At a time when certain segments of society deny science and pooh-pooh basic theories, when ‘Truthiness’ trumps Truth and when Reality is accused of having a well-known liberal bias, we need him more than ever. The world is a better, richer place because of Neil deGrasse Tyson. It is a place where curiosity, literacy, education, intellect and expertise are not dirty words. Neil deGrasse Tyson (born October 5, 1958) is an American astrophysicist and science communicator. He is currently the Frederick P. Rose Director of the Hayden Planetarium at the Rose Center for Earth and Space, and a Research Associate in the Department of Astrophysics at the American Museum of Natural History. Earlier this month (February 7, to be exact), was the Jewish holiday of Tu B’Shevat. Like some other Jewish holidays, it occurs on a full moon. But unlike Purim (the following full moon), Passover (the next full moon after that) or Succot (either a Harvest Moon or Hunter Moon), the Tu B’Shevat full moon happens in the dead of winter. It is also known as the February Moon or Snow Moon. When I was a little kid, standing outside on a cold winter night, I would look up at the Ring Around the Moon, awed by its simple beauty. At the time, my mind, uncluttered as it were with scientific facts, was able to appreciate its heavenly glory with pure innocence. 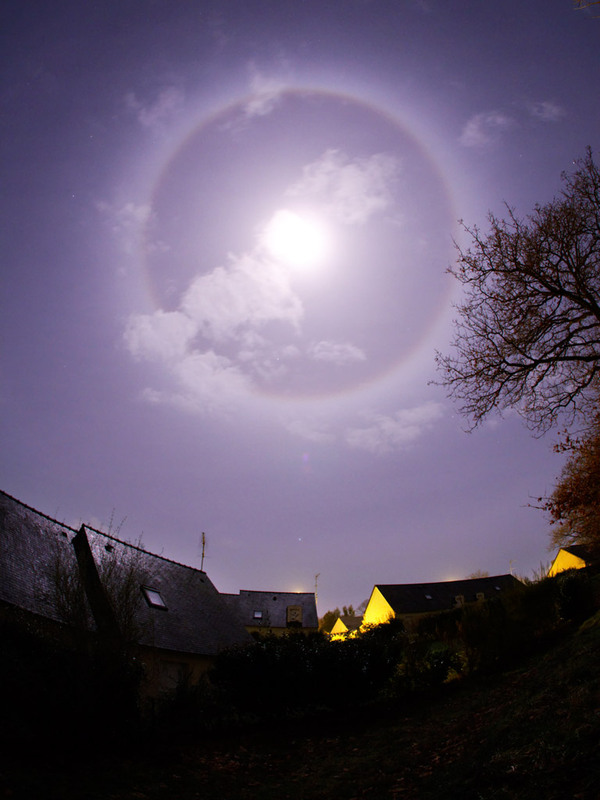 And it is in the dead of winter that you are most likely to see a Ring Around the Moon, aka a Lunar Halo. 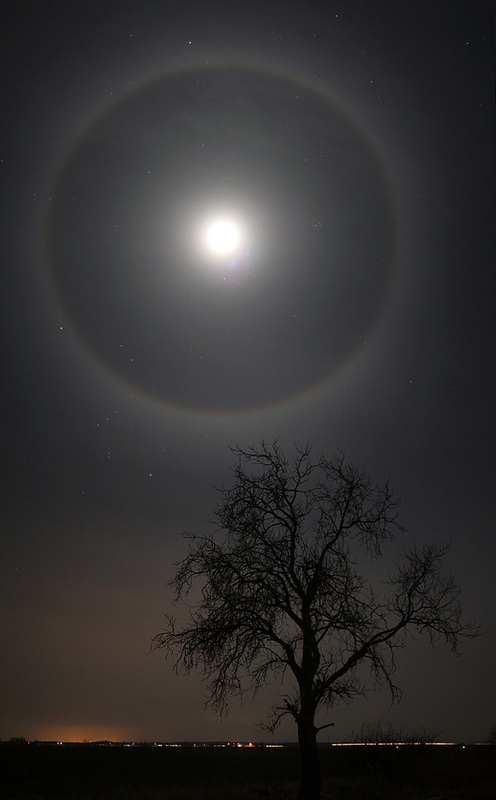 Still, thin clouds of ice crystals hang in the cold, wintry sky creating these gorgeous lunar halos. 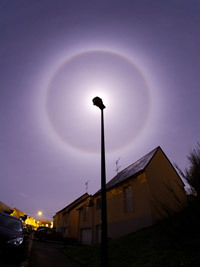 Refraction of moonlight by the hexegonal (six-sided) crystals produce a slightly colored halo with its characteristic radius of 22 degrees. Luckily, there are times even now when, caught unawares by natures grandeur, I am pulled back to a child-like wonder of nature and the cosmos. It could be anything. The Harvest Moon, huge and warm, emerging just above the dark silhouette of a treeline; the Leonids meteor shower streaking overhead; and on the iciest and coldest of nights, Light Pillars. I love for moments like these. They make me appreciate life. They make life worth living. A few weeks ago, I signed up with a program called Partners in Torah. The premise is quite simple. 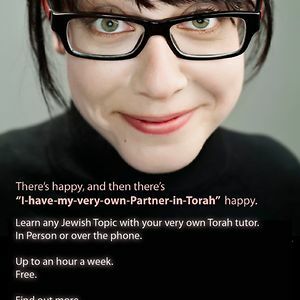 People who, for various reasons, cannot get together with a study partner to learn Torah, Jewish history, Hebrew, Talmud, Halacha (Jewish law), and so on, can get connected with an appropriate person and, together, they study on the phone for 30 to 60 minutes a week. Partners in Torah’s signature phone study program offers Jewish adults of all backgrounds across North America a cost-free learning opportunity to discover Judaism – its culture, history, and traditions – at their pace and their schedule. Jewish men and women with an interest in acquiring specific skills or who simply want to build on their Jewish knowledge-base, are matched, one-to-one, with a carefully selected personal Torah trainer or “mentor” for up to an hour a week of over-the-phone study and discussion. Participants can choose any topic including Hebrew, Jewish philosophy, or history. In its decade and a half of operation, Partners in Torah has engaged more than 40,000 intellectually curious Jews across North America, and today supports some 4,000 weekly study partnerships (over 8,000 individuals!). I emailed Partners in Torah and very shortly thereafter received a phone call from a charming young lady who asked me several questions confirming my status as a Jew, a bit of my background, what I was interested in studying and why, etc. I told her that while I spend about half of my week in a Orthodox neighbourhood in Toronto, the other half of my week I practice as a criminal defence lawyer down in the Niagara Region of Southern Ontario. Not exactly The Heart of the Old World and certainly not a bastion of Torah Study. In fact, you can count all the Orthodox Jewish men in the entire region on one hand. So I was very keen on being able to learn with someone as opposed to studying on my own (not the ideal method, by any means). I also indicated to the young lady that I wasn’t all that interested in Talmudic civil law. If a wall crumbles and collapses and a person gets injured, trust me, I could not care less who is liable to pay damages. I went to law school for three years. I hated tort law then and nothing since has improved my outlook on the topic. Bunch of ambulance chasers, if you ask me. I told her that what I was interested in was the practical day-to-day application of Jewish law. 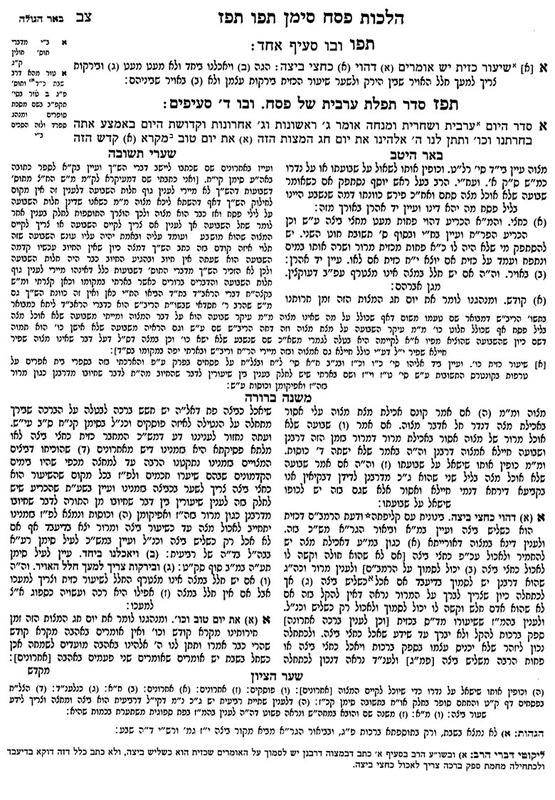 When asked to be more specific, I suggested studying the Mishnah Berurah (the Chofetz Chaim‘s commentary on the Shulchan Aruch ), especially Hilchos Shabbos (Sabbath Laws). Surprisingly, she said, “I know just the person for you!” She then set me up with one of their volunteers, a guy in New Jersey. He and I emailed back and forth a few times, and spoke on the phone the next day regarding what I was interested in learning and what would be a mutually convenient time for us to learn. We agreed to study together Wednesday evenings from 7:30 to 8:30 pm. The first study session went really well, I thought. It was exactly what I was hoping it would be. I couldn’t have been more pleased. I am looking forward to the next study session! For those of you who follow this blog even semi-regularly, you will probably recognize the name Aish HaTorah as also being the international organization that runs, among other things, the Jerusalem Fellowships program which my daughter Exhibit One, attended in August 2011 and which my son, Exhibit Two, will attend this coming May 2012 in Jerusalem. 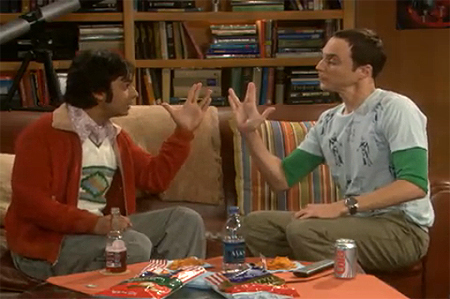 Rock-Paper-Scissors-Lizard-Spock is a five-gesture expansion of the classic selection method game rock-paper-scissors. 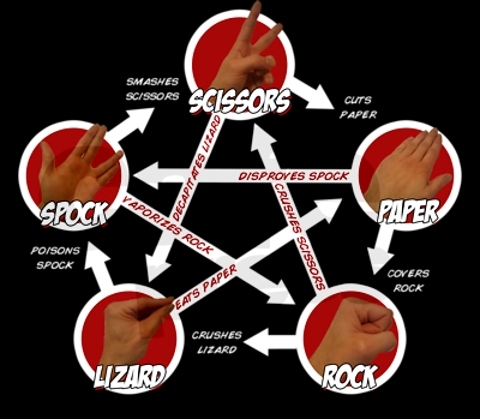 It operates on the same basic principle, but includes two additional weapons: the lizard (formed by the hand as a sock-puppet-like mouth) and Spock (formed by the Star Trek Vulcan salute). This reduces the chances of a round ending in a tie compared to the more traditional game. The game was originally invented by Sam Kass and Karen Bryla. It was mentioned in an article of The Times in 2005. There are ten possible pairings of the five gestures, where each gesture beats two of the other gestures and is beaten by the remaining two. And for those who have not yet experienced the exquisite pleasure of having the rules personally explained to you, here is the amazing Dr. Sheldon Cooper from The Big Bang Theory to do the honours! Materialistic Couples Have More Problems! 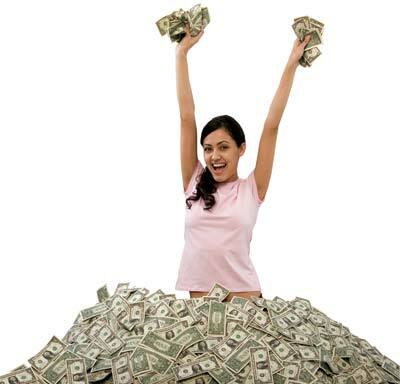 Several recent studies over the last few years have suggested that money is not the key to happiness. Now while it is admittedly hard to maintain a sunny disposition under conditions of grinding poverty, once basic needs are met such as food, shelter, clothing, and so on, having more and more money and more and more stuff apparently doesn’t do all that much to improve overall contentment. In fact, it appears that having too much of a fixation on money can even make you worse off. How does all this plays out in the context of marriage? Researchers evaluated nearly 2,000 couples in the United States and found that those who claimed not to care much about money scored up to fifteen percent better on marriage quality than couples where one or both members did claim to care a lot about wealth and possessions. Marriages where both members self-identified as materialistic suffered from poor communication, poor conflict resolution skills, low responsiveness, and instability. Now, let’s not get too carried away by these results here. Materialism comes in different degrees and flavors. We’re all materialistic to some extent. We’re none of us St. Francis of Assisi. I don’t know how many people are reading this blog from the discomfort of a hermit cave deep in the wilderness. My guess is not many. I admit… I myself have occasional flights of fancy where I visualize myself awash under a veritable cascade of material wealth. This is not to say that a shared appreciation of being able to afford nice things, provide for children, and take family vacations can’t be sources of pleasure and happiness. What the study suggests, though, is that there’s a tipping point where loving money for its own sake becomes a source of conflict. It is when things go past this tipping point for one or both spouses that the marriage suffers. 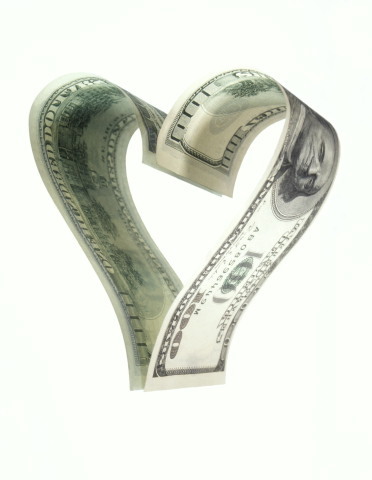 No doubt, there are very wealthy individuals and couples who manage to be quite happy. But their wealth may be more a by-product of contentment rather than a source of it. Money buys you comfort and convenience. And lots of it, to be sure! But it seems that the old adage still rings true. You can’t buy happiness. Although, in many instances, you can probably rent it, temporarily. Bees Use Sign Language to Give Hornets the Finger! We all know that bees do the most amazing things. They set up intricate societies. They wage war on other bee colonies. They clear their beehives of debris and dead bee bodies. But perhaps one of their most famous talents is the ability to communicate with other bees by means of a ‘wiggle dance’ by which they tell fellow bees via sign language where, for example, the good flowers are located. Well, according to a recent article in the wonderfully named website, TreeHugger.com, it turns out that bees don’t only communicate with other bees. They can use body language to ward off enemies, like bee-eating hornets. New research that suggests honeybees also send ‘sign language’ signals to predators, warning would-be raiding hornets that they have been spotted and they’d better back off. And the best thing is the fact that these signals actually work! The researchers described how the bees shook their abdomens when a hornet approached, a signal that triggered the hornet to retreat. They published their findings in the journal Animal Behaviour. 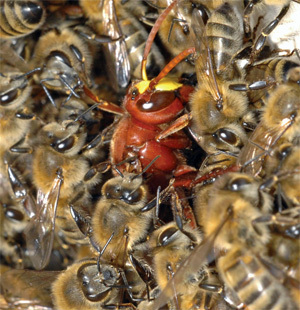 Researchers already knew of this “characteristic shaking signal”, in which all the guards bees simultaneously vibrate their abdomens from side-to-side for a few seconds when a hornet approaches the colony. In the wild, this produces a spectacular “Mexican wave” of vibrating bees. 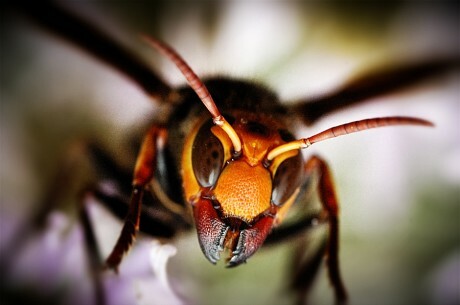 This study, carried out on a small bee hive, revealed the hornets (Vespa velutina) responded directly to the bees’ shaking signal. 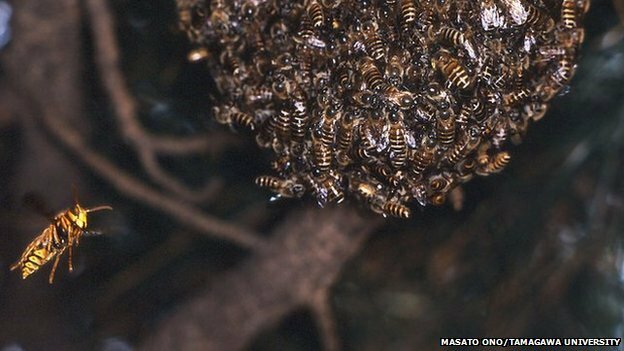 Warned wasps would retreat from the colony and try to catch bees in flight instead. To find this out, the researchers tethered live hornets to lengths of wire and held them at a variety of distances from the hive entrance. The closer the tethered hornet was held to the hive, the more intensely the bee guards shook their bodies. To confirm that the bees were specifically “talking to” the hornets with this signal, the team carried out the same tethering experiment with a harmless butterfly species (Papilio xuthus). And what would happen if a foolhardy hornet decided to forgo the warning and try to make it into the hive? This kills the hornet with a combination of heat and suffocation. A pretty grizzly end, for sure. So take heed, hornets, and think twice before you start up with the honeybees. That extended finger may be the last thing you see! It is a sad day indeed when someone poaches your nanny. Let me say right off the bat that I’ve been extremely lucky with all of the nannies I’ve hired over the years for Exhibits One and Two when they were mere tots. Each one better than the next with not a clunker in the bunch. Others have not been so lucky. There is a friend of mine who has had the opposite experience… one nanny an even bigger horror story than the last. In the olden days when dinosaurs ruled the world and it was relatively easy to hire a nanny, the government had (and still has, as far as I know) an ‘incentive program,’ of sorts. If a person outside Canada could find employment in Canada as a Foreign Domestic Worker (I think that’s what they were officially called) and maintain employment as a domestic for two years, then that person could apply for permanent residency status. This was a good way for Canada to get the kinds of workers it needed and, in addition, increase its population. My father, like so many Italians, came to Canada after the war with a similar program that encouraged foreign labourers to work up in lumber camps in northern Ontario for a year or two, then become landed and bring over their wives. It was a pretty good deal in those days. 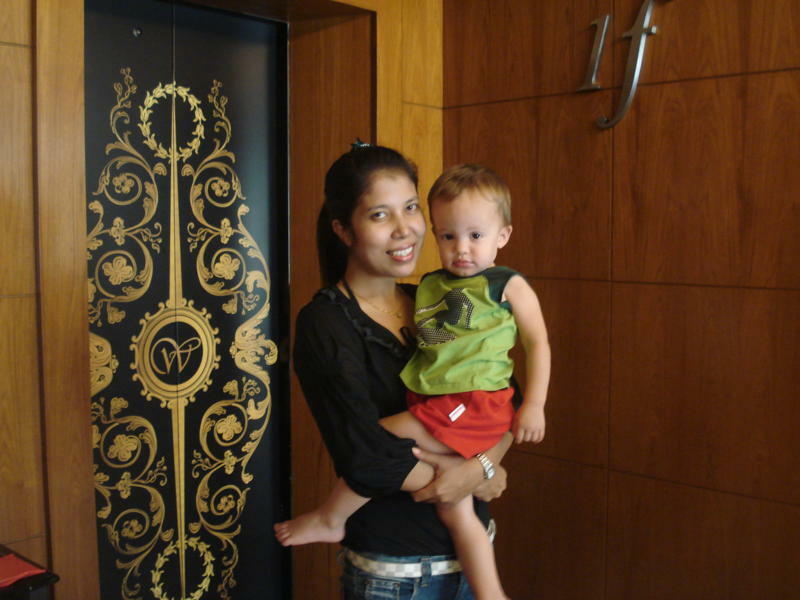 So, too, the foreign nanny program seems like a good set-up. So… what is going wrong? You know that old cliché, “Good domestic help is so hard to find!”? Apparently, the supply of good nannies is drying up. As a result, nanny poaching has become a rampant! Fewer foreign domestics coming into Canada (declining applications, tighter government processing), more experienced nannies leaving the job pool and more families desperate to find good, trusted nannies to care for their kids, especially in a situation where both parents have full-time jobs and do not want to put their children in day-care. What was once an employers’ market has rapidly turned into a nanny’s market! No longer content to work for minimum wage, good nannies these days can pretty well call the shots, especially when parents are willing to tempt them away from their present employers with higher wages, better living conditions and other attractive incentives. As mentioned above… and this fact cannot be overstated… so many good nannies have completed their two years employment, obtained open-work permits and have moved out of the ‘live-in nanny’ business and into the ‘I’m going to make a better life for me and my own family, thank you very much’ business! Which leads me back to my opening statement. It is a sad day indeed when someone poaches your nanny. But really, what did we expect? Did we seriously think these wonderful women become nannies for the sheer thrill of taking care of our little kids night and day for little pay? Did we honestly believe these girls wouldn’t leave us for more money and a better deal for themselves? Or, heaven forbid, to start their own lives and families the first chance they could get? The only reason they looked after our kids, cleaned our houses and cooked our food was the hope that after two whole years of this crap, they would be well on the road to becoming Canadian citizens! 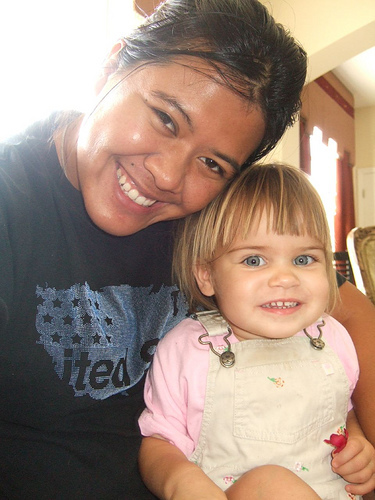 Oh, and just in case you still haven’t caught on… that’s why they came over as nannies in the first place! The law of supply and demand is hitting parents were it hurts the most… in their children’s lives. It’s a tough situation to be in, no doubt. But parents can make it easier on themselves and reduce the risk of having their nannies stolen from under their noses. Here is some free advice from an old man who’s hired a few nannies in his day. Pay them well. Don’t scrimp when it comes to the women who are taking care of your children. Don’t give them only what you are absolutely required by law to pay. Give them the bare minimum and it is just a matter of time before someone realizes how much your nanny is really worth… and is more than willing to pay it! Treat them well. They aren’t your servants. They aren’t your slaves. They certainly aren’t your friends and family. Treat them as valued employees. As with monetary compensation, if you don’t treat them well… someone else will be happy to do so! Give them their own time and their own space. Having a live-in nanny doesn’t mean she is on call 24-7. She needs her own life, her own space and her own time. Make her work environment seem like a prison… and she will be happy to grab the first opportunity to escape. Do everything above-board. Pay all of her source deductions. Make sure she is in this country legally! Don’t give in to the ‘under the table’ urge. You will both be happy in the long run. Trust me. Be kind and generous. You, in turn, will be rewarded with their loyalty. Be nasty, stingy and mean… and you are basically asking them to find a new job. Good luck out there. I hope you are as fortunate as I was!